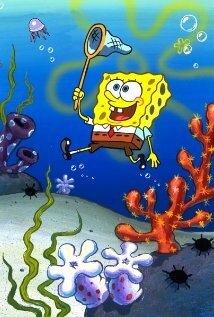 31 July 1999 - Season 1, Episode 3: Jellyfishing / Plankton! 18 September 1999 - Season 1, Episode 10: Culture Shock / F.U.N. 06 December 2000 - Season 2, Episode 5: Christmas Who? 08 March 2002 - Season 3, Episode 5: As Seen on TV / Can You Spare a Dime? 05 May 2006 - Season 4, Episode 12: Ghost Host / Chimps Ahoy! 10 April 2012 - Season 8, Episode 23: Treats!! 12 April 2012 - Season 8, Episode 25: For Here Or To Go? 08 October 2012 - Season 8, Episode 33: Hello Bikini Bottom! 11 November 2013 - Season 9, Episode 18: SpongeBob, You're Fired! 03 April 2012 - Season 8, Episode 18: Glove World R.I.P. 05 April 2012 - Season 8, Episode 20: Fiasco! 11 Nov 2013 - Season 9, Episode 9: SpongeBob, You're Fired!